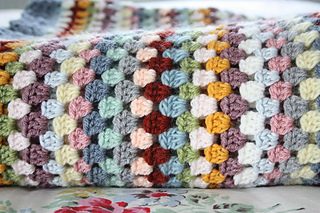 The perfect starting point for a blanket, this pattern is for the classic and traditional granny square blanket in a super large size. 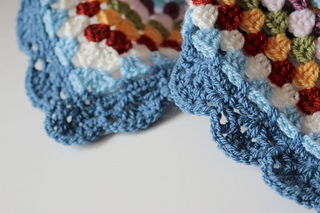 Beginner: A great starting project, the basic granny square is an easy pattern to learn. 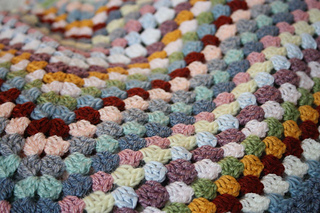 The pattern uses only the basic crochet stitches. Or approximately 4,500 yards of your own choice of DK yarn. This pattern can be made in any weight of yarn. Just use the appropriate hook size and remember that your yardage requirements will vary. 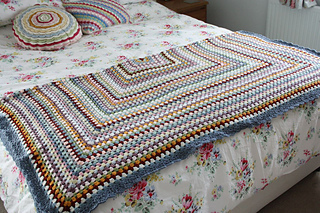 A full written pattern for my Classic Grannie Square and border instructions. 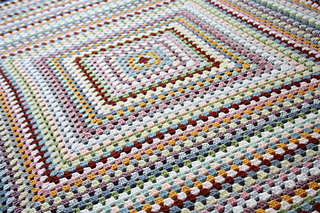 A round by round colour break down from the original blanket. 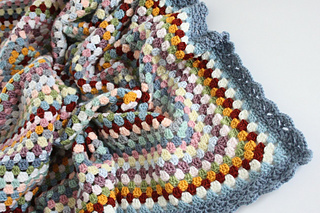 A photo tutorial for the basic granny square is also available. Please come and join the Cherry Heart Group if you have any pattern questions, or difficulties. Or just to come and chat and share your projects.